First published in 1927, the preface reads: "It is directed to men and women of goodwill who are not completely satisfied with themselves, who believe that by taking thought they may add, however little, to their moral stature and to their efficiency in working towards whatever goals they may have adopted. The book is an essay in practical morals and is not at all concerned with ethical theories." 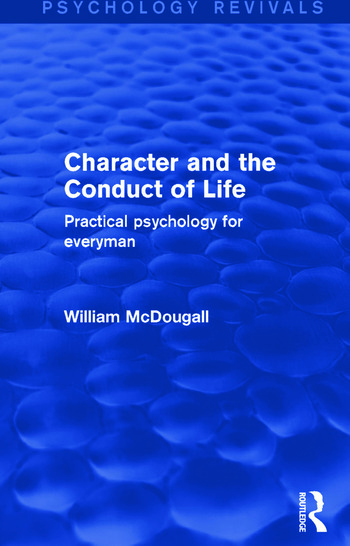 A fascinating glimpse into psychology and morals from the early twentieth century, including chapters for young people, parents and children, husbands and wives! Preface. 1. Our Need of Self-Criticism 2. Human Nature 3. Modifications of Original Disposition 4. Other Factors of Human Nature 5. Character and Will 6. Habits and Principles 7. Tastes and Interests 8. Further Observations of Character 9. Character and Happiness 10. Qualities of Conduct and Personality 11. The Cultivation of Qualities 12. Some Qualities in which Intellect and Character are Combined – Charm, Taste, Tact, Judgement, Wisdom 13. To All Whom it May Concern, Some Common Faults 14. Parents and Children 15. To Young People 16. To Girls 17. To Young Men 18. Married Life 19. To Wives 20. To Husbands 21. Age. Appendix: The Management of the Body. Index.